Alec Ian Holistic Center & Spa is named in memory of the owner’s son, Alec Ian, who was lost as an infant to heart disease. Alec Ian is woman owned and operated, by a single mother of three, Sylvia Zavalza. The owner’s mission is to provide drug-free pain relief and wellness, to those living with chronic pain. With this passion, she created and developed a healing system named Mind Force Manipulation Therapy and began her journey of healing, over 25 years ago. With a vision, a dream, and most of all the innate desire to help people living with debilitating pain, Alec Ian Holistic Center & Spa emerged. Alec Ian Holistic Center & Spa has an intimate, welcoming feel that offers guests an escape from the stresses of the outside world. 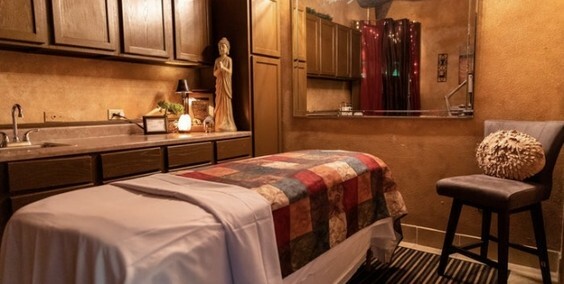 The center features 6 treatment rooms, including a beautifully private suite, used for couples, or groups of friends. As a calming holistic center & Spa, this is a place to indulge in spa and wellness treatments, be pampered or find pain relief. Step into your very own journey of renewal, restore balance and proportion to your life through an array of treatments. Alec Ian Holistic Center & Spa is committed to enhancing your health, both body and skin, by employing high quality products and unique treatments — all delivered by caring, highly trained spa professionals. This is much more than the typical spa experience. Our staff takes a holistic approach to wellness, ensuring that body, mind and spirit are each carefully nourished.